A BAIKAL PISTOL and ammunition was seized in Blanchardstown yesterday along with drugs and a high powered motorbike which had been stolen. During the search a 22-year-old man was arrested. It was part of an ongoing investigation targeting serious criminal activity in the west Dublin area. A quantity of cocaine and cannabis with a street value of around €30,000 was also seized. The search operation was carried by detectives from the Garda National Drugs and Organised Crime Bureau. 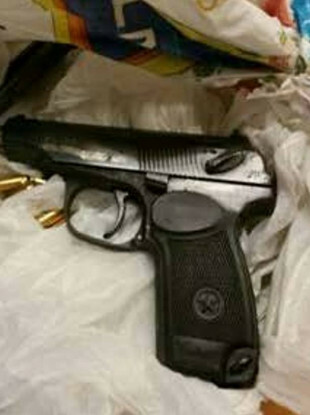 Email “Man (22) arrested after stolen motorbike, gun and drugs seized in Blanchardstown raid”. Feedback on “Man (22) arrested after stolen motorbike, gun and drugs seized in Blanchardstown raid”.